Beginning its national transmission in the early 80s, Doordarshan, the only TV channel in those times was not just a means of entertainment for both the young and the old. 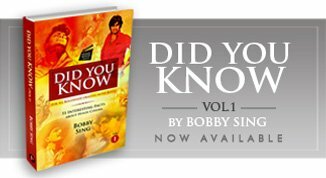 It introduced us to the blessed world of creativity from all over the globe and many would readily agree that it was also one of the first mediums, making us aware of our own rich Indian literature and the most famous literature of the world too through it entertaining as well as enlightening life-teaching serials conceived with a specific vision. 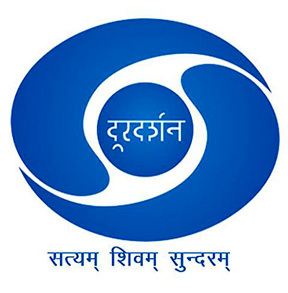 Without going into any comparison with what’s being served in the present in the so called entertaining TV serials aired by the numerous channels, I would like to inform all like-minded friends about the availability of many of those ‘must see' nostalgic Doordarshan serials online, which thankfully can be seen once again at the official Youtube channels DD ARCHIVES and DOORDARSHAN NATIONAL making the precious memories alive. Addressing the friends born in the 90s or later, just a quick glance at the titles and wide range of topics covered in the list below will give you a clear idea of what kind of content was being made and seen in those days by the entire nation and what’s being circulated at present in the name of entertainment. Informing further, the names in the list can easily be stated as just the tip of an iceberg as per the availability and a big number of other popular serials can also be found at several individual youtube channels uploaded by the fans themselves. However many more still need to be revived back from the rich and huge archives of Doordarshan (provided they are not lost forever like many early Indian films). So here is the list that ideally should ask for a lot of your time in the coming weeks or months exploring the exclusive content. So just search for DD ARCHIVES and DOORDARSHAN NATIONAL channels at Youtube (exploring their videos tab) and witness a whole new world of ‘not to be missed’ content, capable of contributing a lot in our personal lives.